The following is meant as a convenient review of Hilchos Yichud ( written by Rabbi Y. Dov Krakowski). The Piskei Din for the most part are based purely on the Sugyos, Shulchan Aruch and Ramah, and Nosei Keilim unless stated otherwise. They are based on my understanding of the aforementioned texts through the teachings of my Rebeim. As individual circumstances are often important in determining the psak in specific cases, and as there may be different approaches to some of the issues, one should always check with one’s Rov first. 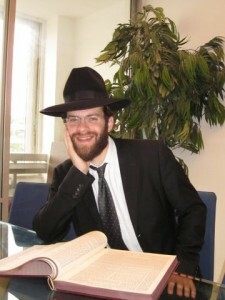 Rabbi Krakowski Serves as the OU Kashrut division’s Rabbinical Representative in Israel. He serves as a Posek in the Larger Shaarei Chesed Neighborhood in Yerusholaim. Rabbi Krakowski has been mishamesh many Rabbonim and Poskim both In America and in Eretz-Yisroel. Rabbi Krakowski started his Yeshiva years in Beis Hamedrash and Mesivta of Baltimore. He Then continued in Yeshivas Shaar HaTorah Grodna (Queens NY), South Fallsburg, Brisk (Yerushalayim), and currently still learns in Kollel Nachlos Elazar (Yerushalayim). Our Sages, with their deep understanding of human nature, understood well that should people be left to decide on their own what they could or could not do – especially with regard to the powerful issue of intimate relations – men and women might easily put themselves in very problematic situations and might, without wanting to, commit capital transgressions. For these reasons our Sages constructed a number of ‘barriers’, of steps to keep people from falling into such traps. Over the past century our lifestyles have changed drastically. Travel has become much easier and it is more common to have questions regarding Yichud in situations that didn’t come up in days of yore. Likewise the dynamics of the work place has changed tremendously. Perhaps not surprisingly, there are at times differences of opinion among the Poskim with regard to many circumstances. Nonetheless it is very important to be familiar with the basic Halachos of Yichud. It is forbidden to seclude oneself with any woman other than one’s wife, sister, mother, or daughter (for a woman, obviously, the opposite is true: it is forbidden for her to seclude herself with any man other than her husband, father, brother, or son). There are a few exceptions: a parent with an opposite gender child, or siblings, and a husband with his wife when she is Nida (so long as they have already been intimate prior to her Nidda status) are allowed to be alone with one another. It is likewise permissible to seclude oneself with a grandparent/grandchild etc. Chazal forbade secluding oneself with a pnuya (single woman) even if she isn’t a Nida. Nowadays, since Chazal forbade single women from going to the Mikva to end their Nida status, single women are generally prohibited Biblically from secluding themselves with a man. Chazal forbade Jewish men from secluding themselves with non-Jewish women, and Jewish women to seclude themselves with gentile men. It is permissible to seclude oneself with any woman if his wife is also there together with them. Obviously if it is permissible for the man to seclude himself with his wife and another woman, it is also permissible for his wife and the other woman. It is forbidden for a Jewish woman to seclude herself with a Goy even if his wife is together with them. It is forbidden for one to allow one’s child to be in seclusion with a goy. As the reason for this rabbinic enactment is a matter of dispute amongst the Rishonim, it is forbidden to seclude a Jewish child with both male and female Goyim alike. Likewise it is prohibited to seclude a Jewish child (and/or multiple Jewish children) with multiple Goyim,. All the aforementioned (3, 3a) applies to all scenarios i.e. tutors, doctors etc. One should consult competent Halachic authority whenever a particular Shaila arises. A woman may seclude herself with two or more men, if they are Kesheirim, in an inhabited area during the daytime. However if there are not at least two Kesheirim it is Assur. The Mechaber maintains that a regular person is considered a Parutz while the Ramo maintains that most Jews are Kesheirim. Rav Moshe Feinstein maintains that anyone who watches television or movies is considered a Parutz even according to the Rema. If one of the many men in a particular place is there with his wife. It is then permissible for another woman to be there with them. It is permissible for a man to seclude himself with three or more women as long as three or more of the women present are not ones he works for or with on a regular basis. If someone has a job that provides a service for women (i.e. sells women’s clothing, makeup etc.) it is then forbidden for him to seclude himself even with three or more women even if he doesn’t work for, or with, them on a regular basis. If a person’s job is explicitly with or for women then he must either have his wife with him at all times, or have his work place visible to frequent passersby. If he cannot help but be secluded with women (even multiple women at one time) then he is obligated to quit his job. It is permissible for three or more men to be together with three or more women. It is permissible for a woman and a man to be secluded together if the woman’s husband is in town and the woman knows that he can theoretically appear any minute. However if the woman and man know each other well (i.e. they are relatives childhood friends or familiar work associates) then it is prohibited for them to be in seclusion even though her husband is in town. Therefore, special care should be taken in professional, or medical and other caretaking situations to insure that a friendly relationship shouldn’t develop. If a friendly relationship develops or is apt to develop one should consult with a competent halachic authority. It is wise to avoid being on first name basis with opposite gender co-workers as this will automatically place distance between one another and make things more formal. (Note: not being on a first name basis does not eliminate the issue of co-workers and secretaries. The Aruch Hashulchan maintains that all work relationships are considered to be friendly). While one’s wife being in town doesn’t make it permissible for a man to seclude himself with another woman, if the man knows that his wife is supposed to appear any minute (e.g. she went out to the grocer next door etc.) then it is permissible for him to be secluded for a short period of time. It is permissible to be secluded (with someone with whom it would otherwise be forbidden) in an enclosure that opens to an area frequented by passersby provided that any of those could come at any time into the enclosure. Alternatively, seclusion is also permissible if there is a window or other opening making what is happening inside visible to all. It is forbidden to be secluded with a forbidden person in any area that isn’t frequented even if it is entirely open. If people generally pass by every 10 minutes or so then it definitely can be considered a frequented are. If a place is frequented less often than at least once every 10 minutes ask a competent halachic authority. It is permissible for one man to seclude himself with a woman and her daughter in-law, or a woman and her stepdaughter. It is permissible for a man and woman to be secluded together if there is a child old enough to repeat what happened during their seclusion, and it can safely be assumed that the child wouldn’t commit any forbidden acts. Even though it is possible that the child could in theory be coerced into forbidden acts, it can also be safely assumed that the presence of another adult would enable the child to resist. There isn’t any prohibition to be secluded with a girl under three, or with a boy under nine. Nowadays, as there are unfortunately “frum” pedophiles, one should not allow a boy older than three to be secluded with a man who could fit the profile of such a menuval. It is advisable to have a way to check-up periodically on a child’s situation with a tutor, mentor, or therapist etc. (This could include such things as video surveillance, for instance). It is prohibited to appoint a watchman/guard over an area with only women, even if that person is a Kasher. This is true even if the guard is outside the premise and the women are all inside. If the guard is on the street itself (or another very public area) then it is ok.
One shouldn’t have a male caretaker for one’s estate. A woman should not hire permanent male help, nor should an unmarried man hire help from a single woman. A single women should not live alone with a dog. It is preferable that a single man shouldn’t live alone with a dog either. Although Chazal didn’t prohibit the seclusion of two males the Mechaber maintains that two males shouldn’t seclude themselves together. The Bach argues on the Mechaber seemingly like the Rema (4a). Rav Moshe Fienstein suggests that seclusion of two males on a regular basis should be avoided. Therefore many Yeshivos are makpid not to have locks on dorm rooms (so as to allow frequent traffic between dorm rooms), or to have always more than two boys per room. Married men who live away from home during the week etc. may seclude themselves together even on a regular basis. While there isn’t a prohibition for a brother and sister to be secluded on a temporary basis they may not be live alone together on a permanent basis. It is permissible to drive on in-town streets even if there is only one man and one woman in the car. It is permissible to drive with only one man and woman in the car on trafficked roadways (highways). However it is prohibited to travel on non-trafficked roadways (without there being the right combination of people). This may sometimes be relevant to dating couples. It is prohibited for a lone man and woman to take a walk together in desolate areas. This may be relevant to shiduch dating and the like. Therefore, it is best to plan dates in locations that are lightly trafficked (at least one person every 10-15 minutes or so). The passing of one time period of more than 15 minutes without any traffic does not render the area in question ‘non-trafficked’ as long as on average there isn’t more than a 10-15 minute time lapse between people. (really 10-15 minute is too long, but the assumption is that if something is frequented on an average of 10-15 minute than there are the times that there is only a 1-2 minute time lapse as well). Leaving the door open – if one leaves the door to the house open and one knows that a neighbor might pop in at any time, there isn’t a problem of Yichud. Give a key to someone else – if you give a key (or code) to one or more people and you tell them that they may come in at any time, and it is practical for the person to come in at any time (i.e. a neighbor or the like).then one may even lock the door. In a professional setting (e.g. doctors office etc.) one can request from a co-worker or assistant to peek in in the office every now and then. If one knows that he has co-workers or assistants who come and go as they please than it is also permissible to close the door. If there is continuous surveillance via video camera etc., it is permissible to be secluded in an otherwise prohibited fashion (it is questionable if non-constant surveillance will remove the issur of Yichud; in such situations ask a competent Halachic authority). Perhaps more emes than saying, “Rabbi Krakowski Serves as the OU Kashrut division’s Rabbinical Representative in Israel,” they should say he is ONE of the OU Kashrut division’s Rabbinical Representative in Israel. The reason is that there are more than just one. For those who are machmir on hilchot yichud, this is a very concise and easily understood summary. In modern work situations, there are many issues that arise such as how to handle a confidential meeting with clients in a conference room, etc. Some of the above restrictions (e.g. never to hire a male caretaker for your property, not to have a dog, etc.) are a bit confusing and probably need some greater explaination. Most Rishonim hold that a single woman is also Biblically forbiden, just there is no kares. Gadolhadorah, not sure why you mean by “For those who are machmir on hilchot yichud”. These are not chumros but halachos that all need to keep, many of them d’oraisa.